Have you heard Christ's call to you to follow him and share in his mission? 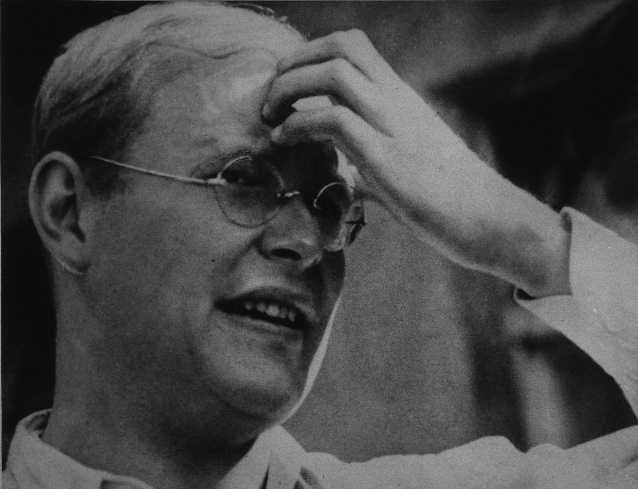 I highly commend to you Dietrich Bonhoeffer's The Cost of Discipleship. Macmillan: New York, 1963. Let me offer you a few snippets (below). Also please read some background to the book by a respected Christian leader. Costly grace is the treasure hidden in the field; for the sake of it a man' will gladly go and self all that he has. It is the pearl of great price to buy which the merchant will sell all his goods. It is the kingly rule of Christ, for whose sake a man will pluck out the eye which causes him to stumble, it is the call of Jesus Christ at which the disciple leaves his nets and follows him. That shows how the very notion of a suffering Messiah was scandal to the Church. ... Peter's protest displays his own unwillingness to suffer and that means that Satan has gained entry into the Church, and is trying to tear it away from the cross of its Lord. To endure the cross is not a tragedy; it is the suffering which is the fruit of an exclusive allegiance to Jesus Christ. When it comes, it is not an accident, but a necessity. ... the suffering which is an essential part of the specifically Christian life. It is not suffering per se but suffering-and-rejection, and not rejection for any cause of conviction of our own, but rejection for the sake of Christ. If our Christianity has ceased to be serious about discipleship, if we have watered down the gospel into emotional uplift which makes no costly demands and which fails to distinguish between natural and Christian existence, then we cannot help regarding the cross as an ordinary everyday calamity... We have then forgotten that the cross means rejection and shame as well as suffering. The Psalmist was lamenting that he was despised and rejected of men, and that is an essential quality of the suffering of the cross. But this notion has ceased to be intelligible to a Christianity which can no longer see any difference between an ordinary human life and life committed to Christ. The cross means sharing the suffering of Christ to the last and to the fullest. Suffering then is the badge of true discipleship. The disciple is not above his master... That is why Luther reckoned suffering among the marks of the true Church... If we refuse to take up our cross and submit to suffering and rejection at the hands of men, we forfeit our fellowship with Christ and have ceased to follow Him. But if we lose our lives in His service and carry out cross, we shall find our lives again in the fellowship of the cross with Christ. The opposite of discipleship is to be ashamed of Christ and His cross and all the offense which the cross brings in its train. "Blessed are the meek: for they shall inherit the earth." This community of strangers possesses no inherent right of its own...nor do they claim such right for they are meek, the renounce every right of their own and live for the sake of Jesus Christ. When reproached, they hold their peace; when treated with violence they endure it patiently; when men drive them from their presence, they yield their ground. They will not go to law to defend their rights nor make a scene when they suffer injustice. Rejoice and be exceeding glad for great is your reward in heaven; for so persecuted they the prophets which were before you. "For My sake" the disciples are reproached, but because it is for His sake, the reproach falls on Him. ...while Jesus calls them blessed, the world cries: "Away with them, away with them!"